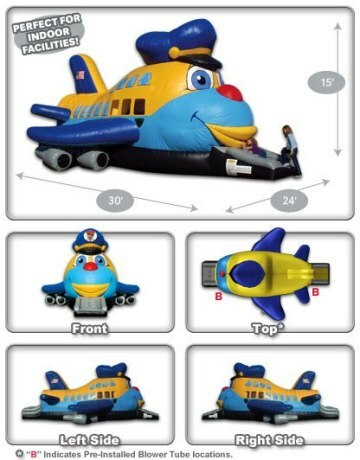 Perfect for Fire & Rescue parties, Airplane parties or as a prop for airline promotions or events. 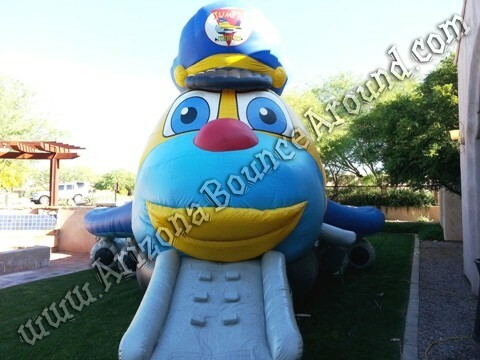 This Inflatable Jumbo Jet is sure to draw attention to your company party or event. 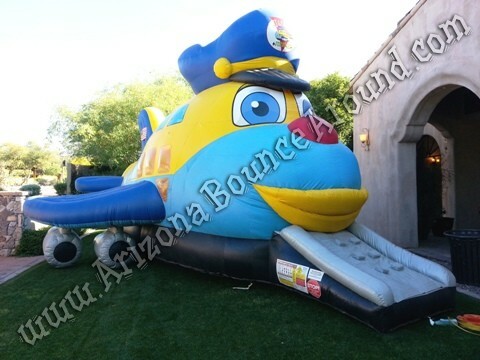 Everyone loves Airplanes, Jets and Helicopters so our Jumbo Jet Bounce and Slide will be a perfect fit for any Airplane themed party or event. 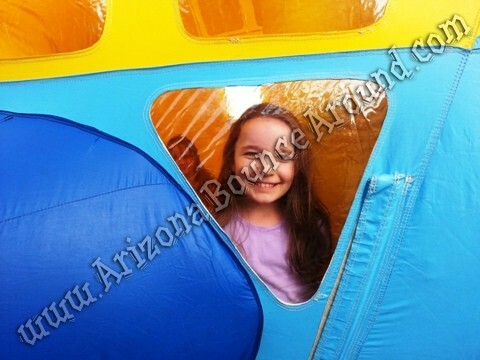 This Jumbo Jet features a bounce house inside complete with clear port hole windows on the sides of the jet and a really easy to climb slide inside so you can slide out of the back of the airplane just like droping cargo. 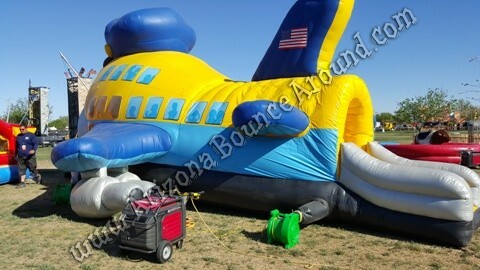 This Jumbo Jet is huge and will look amazing at your party or event. 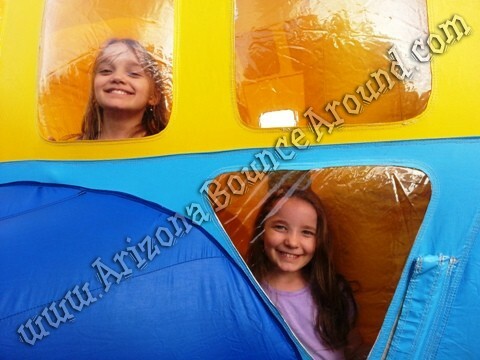 It comes complete with wings and jet engines and the friendly airplane face on the front. 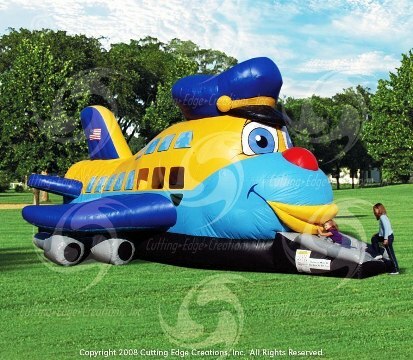 This Inflatable Jet is so amazing looking that it will make a great advertising Inflatable for Dealerships, Airlines, Grand Openings and Promotions. 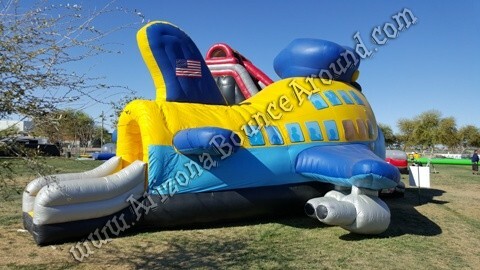 This Jumbo Jet bounce house will make any party or event look amazing. 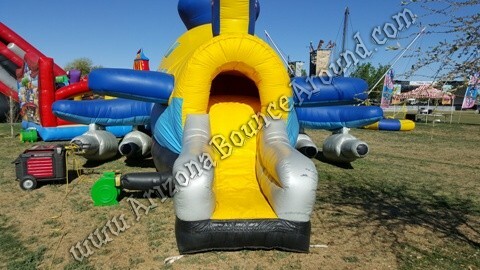 It has a bounce house inside and big slide that kids can slide out of the cargo area just like a real cargo jet.